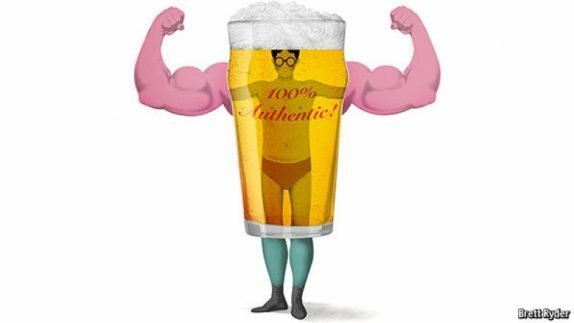 Consumers say they want authentic items and brands, but what does that mean? Corporate storytelling plays a big part in backing up those words. The New York Times makes this point: “You could argue that these stories are a reaction against goods delivered by container from China, to be bought at Walmart.” http://nyti.ms/1BdFGfA. In the bracingly sardonic style that The Economist musters so well, a 2015 article by Schumpeter states: “Shoppers at Whole Foods can peruse scintillating biographies of the chickens they are about to casserole . . . . authenticity is far easier to pull off when your product has some real-world qualities that its competitors lack. The most striking recent example is that of America’s craft beers.” http://econ.st/1Oe5LTc Let’s extend that. Your product or service has a founder and an origin story that its competitors lack. You have a timeline that intersects with history in a particular way: you were there with the right thing at the right time, perhaps, when no one else was. In short, your brand storytelling develops authentic muscle when it’s based on your authentic corporate history.